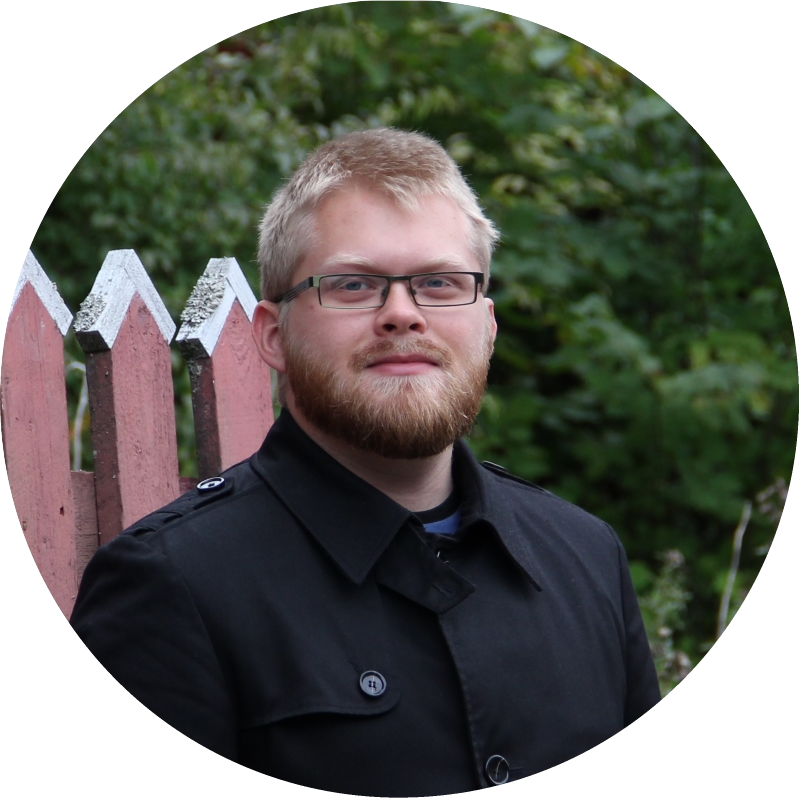 Teo Kuusela is a Finnish author of interactive fiction and a writer of genre fiction. Born in 1991 in Turku, Finland, he came to love everything to do with computers and the internet. Writing and roleplaying-by-post online by 2003, he developed a knowledge of and growing love for the English language. His first interactive fiction, although he did not know about the genre at the time, was around this same time when he built a clunky website with a Lord of the Rings fanfiction through which one could navigate via links. After an extra year of middle school - mainly to figure out what he wanted to do with his life - he studied for a while in vocational school to study car body repairs and painting, which was combined with the academic secondary school studies in a double-examination program. In the 2011 matriculation exam he got a Laudatur (highest possible grade) in English. Starting in the summer of 2011 he entered the Finnish Defence Forces, was trained as an NCO for the TOW anti-armour missile system, and entered the reserve after 12 months of service. After his service, he spent a couple of years bouncing between Finland and Norway, settling abroad in Bergen from mid-2014 to the end of 2017 while starting a serious attempt at a writing career. Now you may know him best for the interactive novels Lords of Aswick, Best of Us, and Diamant Rose. In addition to his writing, Teo was also the first Dungeon Master for STD&D, a Dungeons & Dragons show on The Seppola's Twitch channel. Teo is now showrunner for the roleplaying-focused Twitch channel called Banteroll.